Death is a part of life and may strike unexpectedly and can prove devastating if you are not financially prepared. For those who are left to cope with the passing of a loved one, it is important to take a step back from the grieving process and to make responsible decisions based on research. A funeral plan can offer financial protection to ensure that matters are handled accordingly and without additional stress. 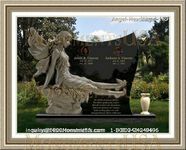 The passing of a loved one requires the consideration of a number of factors to ensure that a memorial can be afforded. It is necessary to take the time to assess the expenses that are associated with burials, cremations, and the erection of stones. There are a number of legal matters that should be examined to access valuable services. 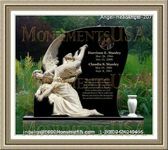 Many providers are available offering different packages for families interested in honoring the memory of a deceased member. The first step is to shop around and assess the benefits that are provided with each of these plans. Obtaining a quote can aid in making comparisons of the costs and the services involved. 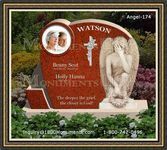 Legally you are allowed to request a price list of the expenses that are involved in the arrangements of funerals. Take some time to determine which products and services you actually need or the costs could accumulate. It is also necessary not to make an emotional decision, but one that delivers value. The expenses can be discussed with professionals who should offer a detailed listing of the costs. If a viewing is held an hour before the procession, it can save time and money. Parlors can advise on the services that are available for a number of individual needs. A funeral plan is required to provide protection for individuals in the event of a death. Policies and professional arrangements are available to ensure that the most suitable methods are sought. Taking the time to shop in advance can aid in making comparisons of the expenses that are involved.